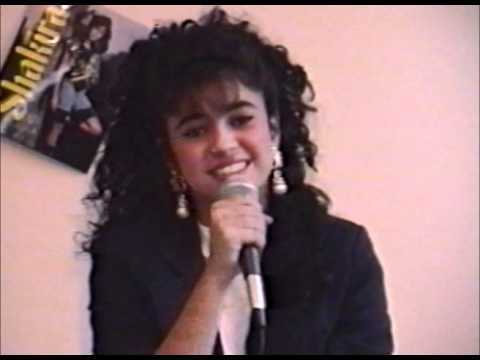 A video on Youtube on the Colombian singer Shakira at age 13 has come to light. She sings the song that gives name to their debut album, 'Magic'. At that age the girl from Barranquilla, Colombia, and had recorded with the label Sony Music, who parlayed his talent and decided to engrave their first album. 'And what, friends? I'm Shakira, and I invite you to purchase my latest album entitled Magic, in the world market for hard disk or the rumba, "says Shakira front of the camera. Note that this is the third video to be published on the artist before it was the pop icon is today. The first is a clip on his participation in a singing contest when she was 11 and the other is its participation in 1993 at the Festival of Viña del Mar.